Date: 15.09.2018 | House, Electro, Club, Techno | Tags: DMC Club Hits, DMC Records, Golden Boy, Mark Sixma, Mella Dee, Riva Starr, Thomas Gold | Download DMC Essential Club Hits 137 (2018) for free. Strictly DJs Only! A brilliant interpretation of the well-known hit song, Missing is as enchanting as a song can be. From Mark Sixma’s top-notch production to Emma Hewitts haunting vocals, classic turned Trance gem fully deserves its place at the top of your playlist. On remix duties are the guys of Solis & Sean Truby who crank up the original towards uplifting mayhem. Cracking the foundations of clubs the world over, Thomas Golds next offering is as tempestuous as they come. The energy in this record is out of this world, pumping some massive raw basslines and heavy synths through your speakers. The sirens will have you on your feet immediately, ready to bounce your way through the club. 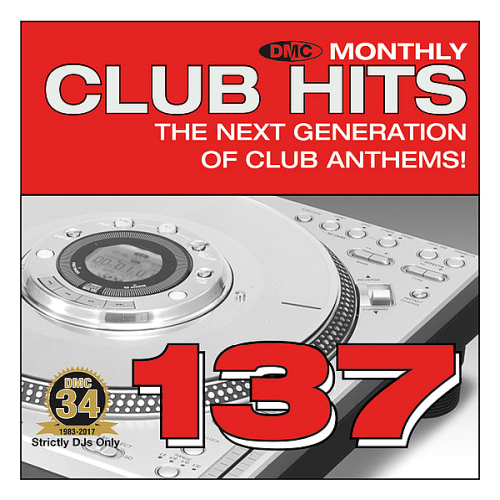 The Next Generation Of Club Anthems!